Slater Mill, founded in 1793 by Samuel Slater, is now used as a museum dedicated to textile manufacturing. 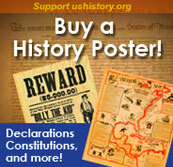 There was more than one kind of frontier and one kind of pioneer in early America. While many people were trying to carve out a new existence in states and territories continually stretching to the West, another group pioneered the American Industrial Revolution. They developed new, large forms of business enterprise that involved the use of power-driven machinery to produce products and goods previously produced in the home or small shop. The machinery was grouped together in factories. Part of the technology used in forming these new business enterprises came from England, however, increasingly they came from American inventors and scientists and mechanics. Although the Lowell mills had better conditions than British textile mills, workers still suffered long hours and excessive restrictions on their activities. 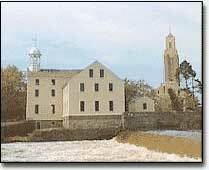 The first factory in the United States was begun after George Washington became President. In 1790, Samuel Slater, a cotton spinner's apprentice who left England the year before with the secrets of textile machinery, built a factory from memory to produce spindles of yarn. The factory had 72 spindles, powered by by nine children pushing foot treadles, soon replaced by water power. Three years later, John and Arthur Shofield, who also came from England, built the first factory to manufacture woolens in Massachusetts. From these humble beginnings to the time of the Civil War there were over two million spindles in over 1200 cotton factories and 1500 woolen factories in the United States. I think that the factory is the best place for me and if any girl wants employment, I advise them to come to Lowell. -Excerpt from a Letter from Mary Paul, Lowell mill girl, December 21, 1845. 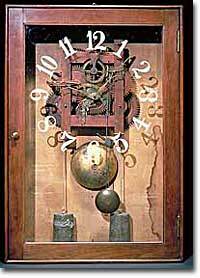 The invention of interchangeable parts allowed factories to create clocks like this one in mass quantities. At first, these new factories were financed by business partnerships, where several individuals invested in the factory and paid for business expenses like advertising and product distribution. Shortly after the War of 1812, a new form of business enterprise became prominent — the corporation. In a corporation, individual investors are financially responsible for business debts only to the extent of their investment, rather than extending to their full net worth, which included his house and property. First used by bankers and builders, the corporation concept spread to manufacturing. 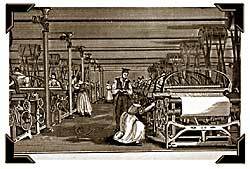 In 1813, Frances Cabot Lowell, Nathan Appleton and Patrick Johnson formed the Boston Manufacturing Company to build America's first integrated textile factory, that performed every operation necessary to transform cotton lint into finished cloth. Over the next 15 years they charted additional companies in Massachusetts and New Hampshire. Others copied their corporation model and by 1840 the corporate manufacturer was commonplace. Lowell and his associates hoped to avoid the worst evils of British industry. They built their production facilities at Massachusetts. To work in the textile mills, Lowell hired young, unmarried women from New England farms. The "mill girls" were chaperoned by matrons and were held to a strict curfew and moral code. Although the work was tedious (12 hours per day, 6 days per week), many women enjoyed a sense of independence they had not known on the farm. The wages were about triple the going rate for a domestic servant at the time. The impact of the creation of all these factories and corporations was to drive people from rural areas to the cities where factories were located. This movement was well underway by the Civil War. During the 1840s, the population of the country as a whole increased by 36%. The population of towns and cities of 8,000 or more increased by 90%. With a huge and growing market, unconstrained by European traditions that could hamper their development, the corporation became the central force in America's economic growth. Many factory towns grew up seemingly overnight and disappeared as quickly. Furnace Town, chartered in 1828, was a ghost town by 1850, but at one time had over 400 residents. This website from the Furnace Town Village interpretive museum tells the story. For a first-hand account of factory life, read this excerpt from the autobiography of a woman who worked at a cotton mill from the ages of ten to twenty-six. She was a witness to, if not a participant in, one of the first labor strikes in the country, and she offers insights into the reasons women and girls joined the factories and turned out in protest. This extraordinary site from the National Park Service, examines the history of Lowell, Massachusetts, a city built entirely upon the textile industry. Separate pages cover such topics as "Mill Girls," dependence of the mills on slavery, transportation issues, the shift from women's labor to immigrant labor, as well as technological innovation. Samuel Slater is sometimes called the "Father of the American Industrial Revolution," because he was responsible for the first American-built textile milling machinery in Rhode Island. Now the mill he built is a museum dedicated to the history of textile manufacture. Industrialization began earlier in England than it did in the United States, and the extremes of harsh labor conditions, especially for children, were reached and denounced there before the sudden growth of American factories. Although American factories were intended to be socially progressive, American views on children and women and the working classes in general stemmed from their English roots. This site offers original source material on investigations into the horrifying conditions in the English textile and mining industries. Samuel Slater often recruited whole families to work at his textile mills — including children! What constitutes progress? Factory manufactured textiles led to cheaper clothing for the masses, but it also led to the first American sweatshops.